Yes, yes, we know that Ron Mexico tortured and electrocuted puppies, we know that he's probably not the best person and we know he's gonna spend some serious time in prison. He pretty much deserves whatever's coming to him. But ... we dunno .... is it really fair that the Falcons can now recoup $19.97 million from him? The NFLPA immediately appealed the arbitrator's decision, and, frankly, we think they should. 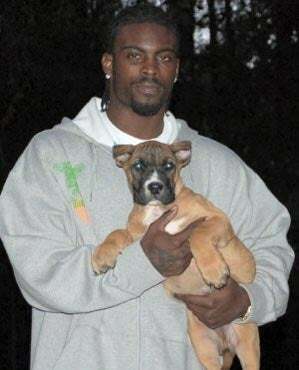 We're not sure Vick deserves that money but ... well, we'll feel a lot better about the whole business when they make the Falcons, you know, return all the money they've made of Vick jerseys for the last three year. We doubt they'll be doing that. No matter what, it must have made a fascinating conversation between Vick and his lawyer.